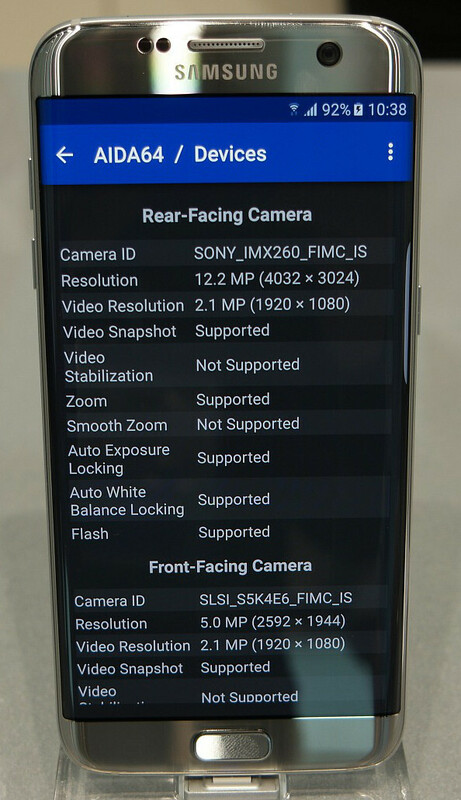 If you have wondering what exactly is the sensor in the intriguing new 12 MP camera unit that can be found on the Galaxy S7 and S7 edge, wonder no more, as it seems to be a custom-made piece by Sony, coded as IMX260, a system info app tells us. The fact that we haven't heard about this model so far only vouches for the tailor-made theory, as Sony often does custom orders for huge clients like Apple or Samsung, and then the phone makers create the optics packaging and image processing on their own for a completely individual experience. The IMX260 sensor is 1/2.5" large, and features hearty 1.4 microns, allowing Samsung to boast that it can collect 95% more light than the IMX240 sensor in the Galaxy S6. Moreover, Samsung has embedded a Dual Pixel system in the sensor for incredibly fast focusing times, too, so it's definitely a brand new custom-made unit. Going further down the component models, as reported by the system info app, we see another custom chip, dubbed Lucky CS47L91 Sound, which indicates a homebrew audio processing unit, as Project Lucky is what Samsung was reported to call the Galaxy S7 internally - seven is a lucky number not only here, it seems. Samsung promised an improved audio experience at the S7 presentation, and this custom DAC may be one of the reasons. 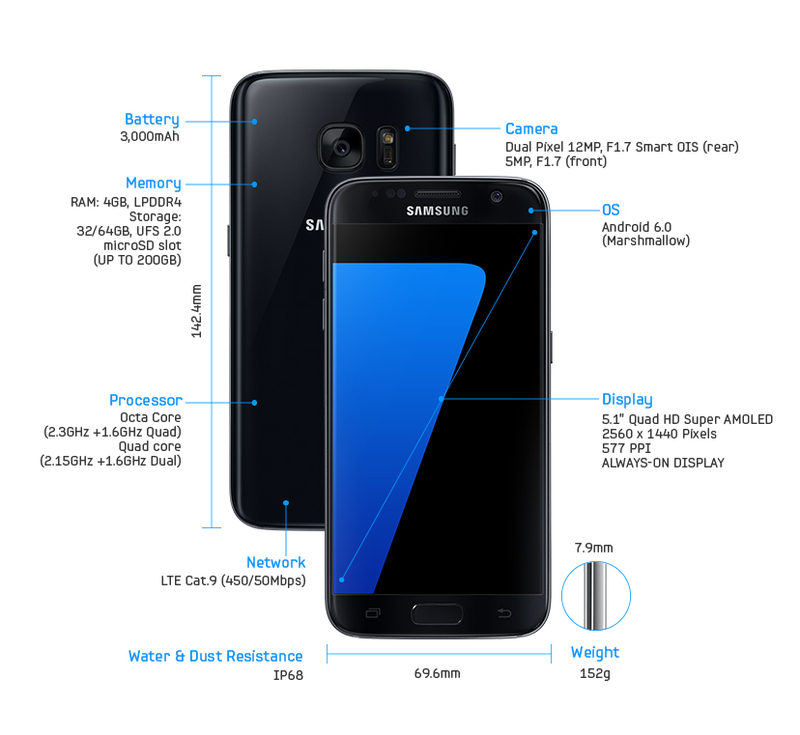 Moreover, we recently saw that the speaker to be utilized in the Galaxy S7 is a powerful for a phone 1.5W unit, which adds more water to the superior audio mill. I thought Samsung used their own sensor. I guess I am wrong. Anyway Samsung s7 camera so far seems very impressive. A huge upgrade from the camera in S6. Well done Sammy. His username says it all. Even the S6 kills the iPhail lol and it's older. So no Britecell? or it will be the same story again? Sony sensor for this specific S7 batch then britecell for that specific S7 batch like how ISOCELL and Sony sensor was for S6? they should keep something for Note6?? I doubt Note 6 will use a different camera sensor, Note 5 used the exact camera hardware design of S6. It's in fact the exact overall S6 hardware including the processor, they just increased the screen size, battery and added stylus features. They may do the same for Note 6, but then I may be wrong. Video stabilization not supported? What does that mean? it means that it will not stabilize video when recording,which is a fail. There is. Check on other sites. Smart OIS is EIS, not OIS. Check first video samples from S7: video has no round shake like phones with OIS. Or maybe the phone is just in a non-OIS supported camera mode? It has OIS, don't worry.